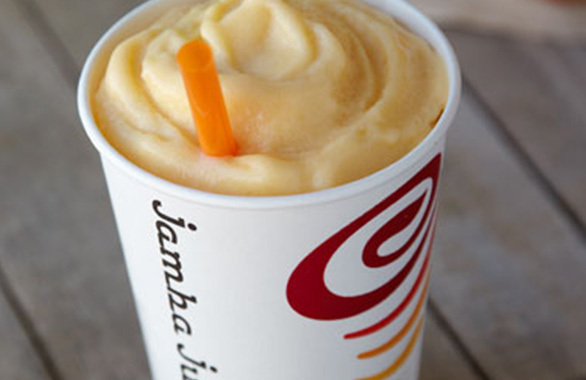 Founded in 1990, Jamba Juice is a leading restaurant retailer of better-for-you, specialty beverage and food offerings, which include great tasting, whole fruit smoothies, fresh squeezed juices and juice blends, hot coffee and teas, hot oatmeal, breakfast wraps, sandwiches and mini-wraps, California FlatbreadsTM, frozen yogurt, and a variety of baked goods and snacks. Jamba is a proud sponsor of “Team Up for a Healthy America” in the fight against childhood obesity and encourages fans to join the Team Up community of celebrities, athletes and other leaders committed to getting kids active and involved at www.myhealthpledge.com. Fans of Jamba Juice can find out more about Jamba Juice’s locations as well as specific offerings and promotions by visiting the Jamba Juice website at www.JambaJuice.com or by contacting Jamba’s Guest Services team at 1-866-4R-FRUIT (473-7848).